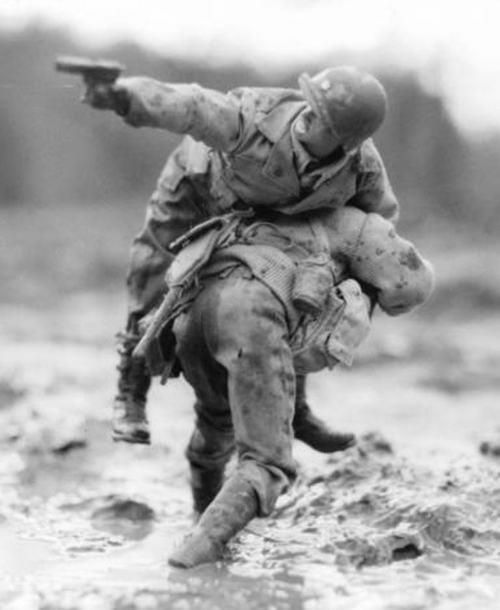 This picture is being shared as an amazing World War II photo. Some persons sharing it cannot believe it isn’t famous. That is actually miniature artwork by Mark Hogancamp. 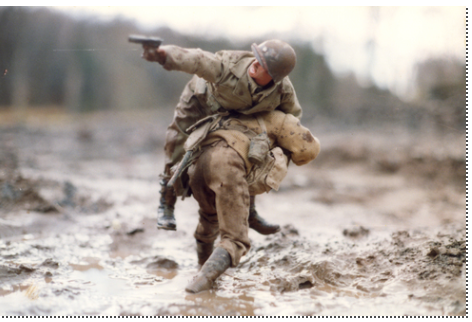 It is a black and white version of the original photo which can be found from Marwencol website. Marwencole is a feature documentary about the fantasy world of Mark Hogancamp.